I read Gardiner's Shadow Tracer (a stand alone) and enjoyed the fast pace and movie-like action. I need to try the Unsub series! Hi Lark, this sounds really good and though shows like Criminal Mids deal with fascinating topics the graphic aspect has caused me to shy away but as you say Meg Gardiner not as graphic so we can enjoy the psychological aspects of the crime without too much gore. If this is like Criminal Minds without the graphic content, then I'm totally in! I haven't read anything by this author, but it sounds like I need to remedy that. And soon. Thanks for the rec! This sounds good! I just found it on audio on Scribd. I'm super excited now! Ooh, this sounds like a great one! I'm always on the lookout for new suspense. 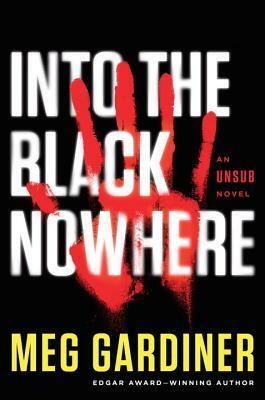 I've seen mixed opinions on this author, especially about Unsub-but I guess that's true of every author really! Glad you enjoyed it!